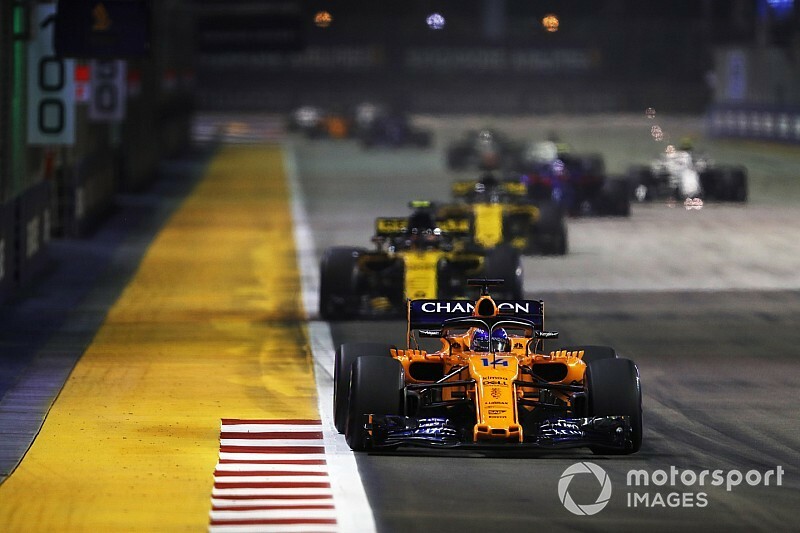 Alonso started from 11th place at Marina Bay and went on to finish as best of the rest in seventh position, behind the Mercedes, Ferraris and Red Bulls. The result was McLaren’s best since the Azerbaijan Grand Prix in April, and the first time Alonso has scored in the last three races. But the two-time champion made it clear after the race that he is not expecting a turnaround in the upcoming grands prix, admitting the nature of the track has aided McLaren’s cause. “It’s a pretty unique circuit,” said Alonso. “It’s a complex circuit for the set-up and to extract the best. Alonso had the fastest lap of the race until the final laps, when Haas’ Kevin Magnussen stole it from him after switching to the softest tyres. “We did the maximum we could,” Alonso added. “A good start and then the strategy we tried to optimise it, first with the purple ones [ultrasofts] and then with the yellows [softs], and if Magnussen hadn’t switched to the hypersofts we would even have the fastest lap of the race so it’s been a magical race for us. The only hiccup in Alonso’s race came when he was stuck behind Romain Grosjean before the Haas driver made his first pitstop, something the Spaniard reckons hurt the American squad more than him. “It got complicated there as we waited for Grosjean to pit, but they focused too much on us trying to cover and they lost a position to Hulkenberg and to everybody. Classic of them,” Alonso said. Alonso’s teammate Stoffel Vandoorne continued with his point-less run – now at 10 races – and finished down in 12th.